Why can’t I sysprep Windows 10 build 10122 ? | just another windows noob ? ← Confused about the System Center 2012 R2 Configuration Manager SP1 and System Center 2012 Configuration Manager SP2 releases ? 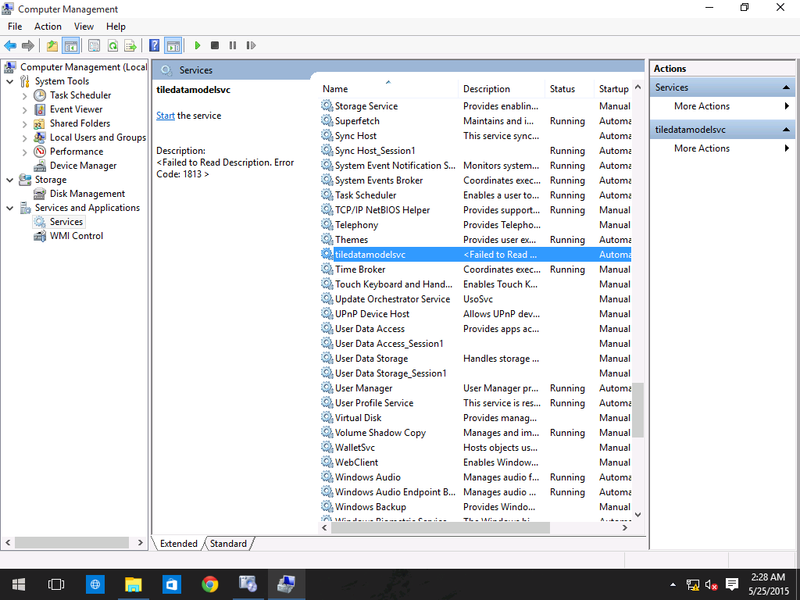 Why can’t I sysprep Windows 10 build 10122 ? I had this problem this morning so thought i’d post the fix, to cut a long story short when trying to Sysprep a Windows 10 build 10122 image, the sysprep process failed every time during the generalize section as revealed in the sysprep logs. 2015-05-25 17:15:03, Error SYSPRP Failed to clean the package repository database: 0x80070020. It turns out that a Windows 10 service called tiledatamodelsvc is responsible, and all you have to do to fix is stop the service before running sysprep. That service prevents Sysprep from accessing the files in C:\ProgramData\Microsoft\Windows\AppRepository. Open Computer Management and select services, locate the tiledatamodelsvc, right click it, and choose Stop. Once the service is stopped, you can sysprep the computer. 5 Responses to Why can’t I sysprep Windows 10 build 10122 ?